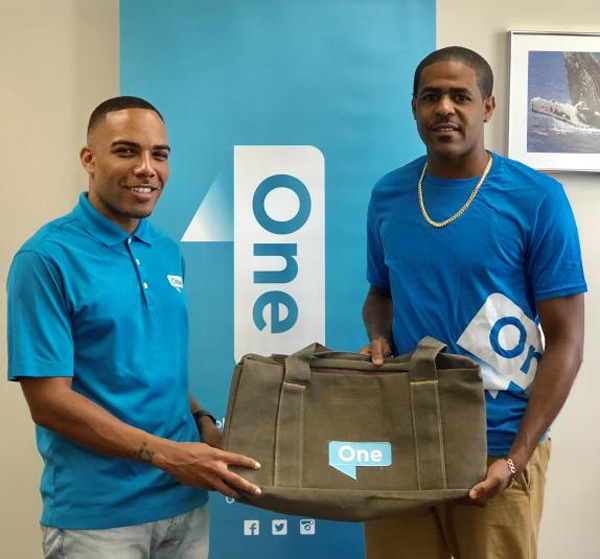 One Communications and the Bermuda Cricket Board [BCB] announced that the Premier League Player of the Week is Malachi Jones of Southampton Rangers SC, while the First Division Player of the Week is Kwasi James of Willow Cuts. Don Foggo [One Communications] and Malachi Jones [Southampton Rangers] Premier player of the week. 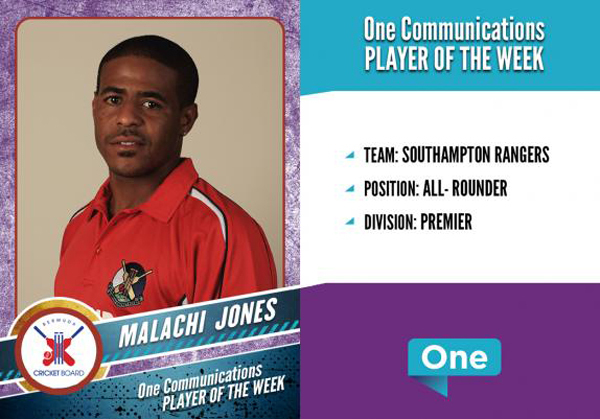 A spokesperson said, “One Communications and the BCB are pleased to announce that the One Communications Premier Division ‘Player of the Week’ is Malachi Jones of Southampton Rangers SC. In the match against Western Stars Malachi opened the batting and scored 122 runs from 124 balls including 5 four’s and 8 sixes. He also bowled 6 overs for 23 runs. His all-round performance ensured a comfortable victory for his team of 105 runs. 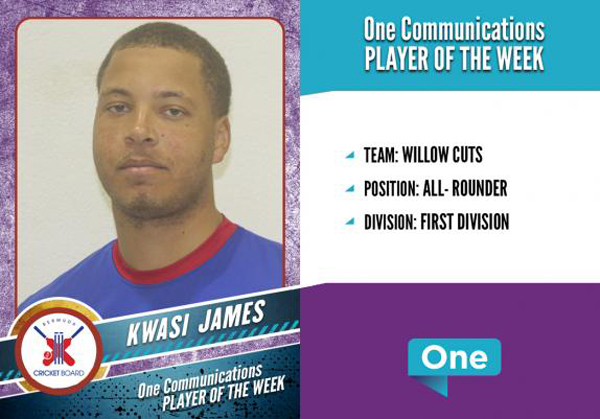 “The One Communications First Division ‘Player of the Week’ is Kwasi James of Willow Cuts. In the match against Somerset Bridge at SCC Kwasi played a dominating role to lead his team to a 10-wicket victory. Kwasi took 3 wickets for 36 runs to help restrict Bridge to 129 runs and then followed up with an undefeated 67 runs off 61 balls including 7 four’s and 3 sixes.